Dr Samantha Soulé is a research fellow in Chemistry at University of Southampton. 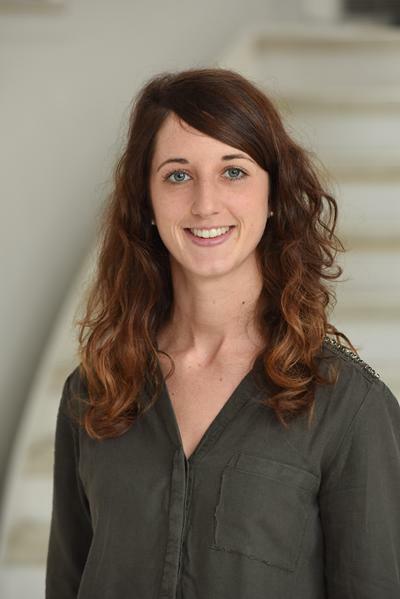 "She is working on the synthesis and the characterisation of mesoporous silica films as hosts for the electrodeposition of semiconductors, and she is also interested in the surface chemistry and modification of the silica materials." “Surface characterisation of all-solid-state lithium microbatteries"
- 2010-2012: Master’s degree in Physical Chemistry of Materials, University of Pau (UPPA), France. Cheng, H., Garcia-Araez, N., Hector, A. L., & Soule, S. (Accepted/In press). Synthesis of hard carbon-TiN/TiC composites by reacting cellulose with TiCl4 followed by carbothermal nitridation/reduction. Inorganic Chemistry.